Solar Eclipse *NEW MOON* in Cancer ( July 12th / 13th 2018) reminds us that it’s time to come home to our whole Self. 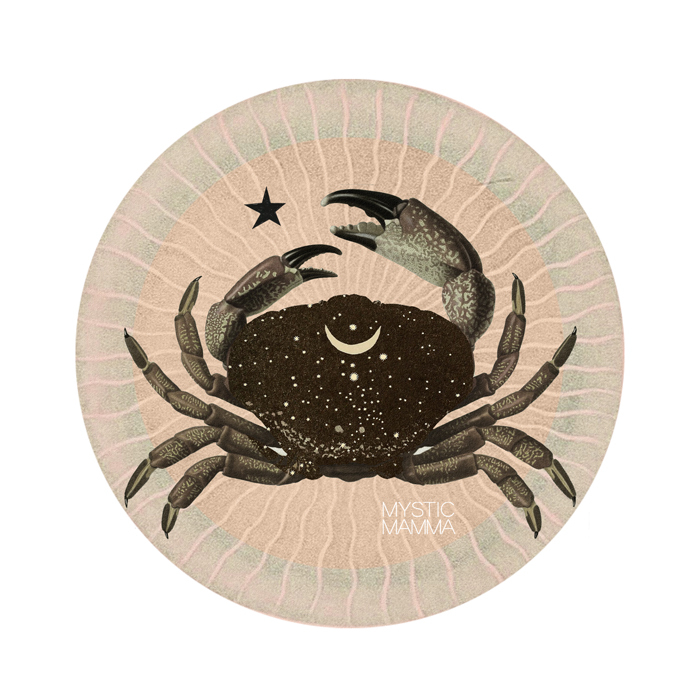 This Cancer New Moon reminds us that with a compassionate heart, we can face and embrace all that has been and all that we are, and free ourselves from that which has had its hold on us. Thus opening the way for us to truly move forward. “ECLIPSE SEASON officially begins this week although in truth, many have already been feeling and working with the potent energies. “Watch for signs of new themes emerging, especially in the realms ruled by Cancer: children and motherhood, women’s issues, home and domestic concerns, emotional and psychic sensitivity, protectionism, and vulnerability. “We are likely to feel deeply sensitive and moody around the time of the eclipse. Emotions may swell up from deep inner levels, breaking through the surface of an otherwise calm sea. “We can feel a profound nostalgia or longing, especially if our lives are not currently providing the kind of nurturing and support we need to thrive. “If this happens, it is an opportunity for us to check in and ask why are we not making choices that allow greater satisfaction. We can look to Pluto in Capricorn for some clues as to the answer to that question. “Are we giving away our power to our career or other responsibilities, forgetting to take time for self-nurturing? Are we trying to live up to the demands of authority figures in our lives, in ways that undermine our self-care? “Or are we giving away our power in some other way, and feeling emotionally depleted as a result? “Interestingly, Mr. Sandback explains that both of these symbols actually represent spiritually healthy ways to protect ourselves when we feel threatened. “In this comforting, nurturing sign, we need to feel safe and secure. The problem is that this is an eclipse and eclipses tend to be somewhat unpredictable. “One of the things we have to contend with is that dominating, power hungry…Pluto, is knocking at the door. Despite wanting to curl up and wait for him to go away, we can’t. “We have to open the door and look him in the eye because otherwise, fear will drive us underground out of sight. “We can’t keep asking Mum to check under the bed to make sure the bogeyman isn’t going to leap out in the night. “Sometimes we have to step up and show what we can do even if life’s stage makes us nervous. “Maybe too some of us are singing a swan song, letting go of what no longer serves us. Pluto can represent the rubbish, all that needs to be released and left to rot so that it can fertilize new growth. “The opera singer also has supreme control over her breathing and voice. “These two nodes in the Cancer/Capricorn polarity are establishing new foundations for how we live here on Earth. “Since Cancer and Capricorn reflect the maturing processes of life, we are certainly in a time when humanity has to consciously evolve to a higher level of self-awareness if humans are going to continue to exist on Earth in a positive way..
“But Pluto is like the lava streaming out of Kilauea. It is unstoppable, pure evolution. It is creating new earth. “We cannot go backwards. It’s the people who go forward who create the future. “Are you an artist, musician, dancer, storyteller? This is your time. It’s time to wrest our people’s imaginations away from mass media programing and get them to wake up their own imaginations. “…Everyone is engaging alone with machines. It’s time to change that. It’s up to our artists to awaken people out of our collective trance…. “Cancer is the sign of the all-nurturing good Mother. But what happens to Mother under patriarchy? She becomes the witch, the Negative Mother. She has to follow the rules, she is inconsequential compared to the father. “She doesn’t know how to make us feel loved and worthy, because she doesn’t know herself. Her power turns manipulative to make sure she gets her way. Love is abandoned for power. “…But that’s the old way – the old patriarchal way of using power. “Pluto is opposing the New Moon, not to beat it down, but to offer to work with it to establish something more true to our values and ideals. “…We have to do our part and step into our true power by choosing our heart values instead of our culture’s values. “We humans are part of Gaia’s ecosystem. We really need to reclaim our place in the life cycle of Earth. “To do that we have to honor and listen to our Earth Mother – to Nature and to our own natures. “What are the cosmic laws of life? That’s what we have to get back to. “That’s seven out of the 10 planets representing the Feminine archetype. “Mars, our source of action, risk taking, and challenge is ‘out of bounds’ meaning much more reckless, threatening, inflammatory and acting without consideration of consequences. “Here is our chance to utilize the patience and sensitivity of Cancer to acknowledge the source of heat and anger in ourselves and to turn our actions toward revolutionary change instead of conflict. “Here is a conundrum all people with a sensitive and kind heart will understand: it’s too easy to confuse kindness and compassion with self-sacrifice, love with enabling others. “…Slowly, I have begun to understand that while being loving and healing once meant indiscriminately giving my energy to those in need, now the opposite is true. “Now…When I take care of myself, I am also taking care of others. “How many times have I heard myself think this? …Countless. “We misunderstand love. Love is not self-sacrifice. Love is not turning a blind eye to the truth, and hanging around for more of the lie…Love is truth. “…By widening our capacity to love our self, to honor what feels right, true, good in any situation for us, we lead by example, saying: See, THIS is love. This is how we do it. “Because, if it’s not feeling good for me it can’t possibly be feeling good for you. We are far too connected to have anything other than this to be true. “That’s leadership. That’s healing. That’s LOVE. “…Eclipses are the hour hand of the cosmic clock. “They accelerate change. They say: ‘you’ve been doing this pattern your whole life, and time’s up!!!’. “…And you can multiply this last statement times one-hundred — since this eclipse opposes Pluto, planet of wounding. “And you know what’s empowering? Changing a pattern without needing anyone to be different than who they are. “Even if the people we love choose to do otherwise, WE do not have to keep perpetuating unconscious wounding with our energy; we do not have to deny our connection to Divinity. “Standing in Light and Truth, we can see that love has absolutely nothing to do with playing by ‘the rules’, being ‘supportive’, ‘compassionate’ or ‘kind’. “Love has no shoulds, no requirements. Love never asks you to cut off your corners to fit into a round hole. “Love has everything to do with the love we feel, on the inside. Wonderful inspiring words of wisdom. Thank you. I have been hoping and longing for a major shift in my life, I feel this energy is going to help carry me to the other side of all my fears and pivot me forward so that I can only feel at ease from this moment on. This message today is truly a Godsend! A HUGE heartfelt THANK YOU for sharing this today! The timing, of course is impeccable. With feminine energy coming to the forefront we are all benefitting by evolving and empowering our intuition. This uplifting, energizing message is a new tidal wave that is surging over the world bringing new purpose to our lives. Mother Earth is queen. Yes, ALL OF THE FEELS! Woke up this morning in a mood and then it all came tumbling forth in tears about love and relationships. I’ve been doing a lot of work in this area but it was mostly in dreamtime and the subconscious. It’s so heartening to read that I’m precisely in tune with the planetary dance that’s going on above. Thank you <3! Amazing. So needed this. The eclipses have been emotionally challenging for me and these beautiful writings could not be more poignant. “Love is truth”. By standing strong in our self love based truth – we REFUSE to fertilize old negative situations. We hold a mirror of cosmic truth to everyone involved. To always show compassion is to lie. And to lie is to cheat the flow of universal energy. Great healing happens for all when one person stands strong in truth. The mirror of truth/love shines brightly on all involved , even those who meant harm. For they see themselves side by side with love and they can’t help but melt in the process. I’m always in awe of your powerful posts. Thank you for sharing all of this knowledge. Nicely said everyone. Myself too I listened to old song and remembered the love feelings I had for someone then. Wrote a poem reflecting meet me down at the waters edge. Love if you could meet me down at the shoreline etc We grew up around the ocean. A cancer from the past. When I finished it and the song ended a door closed and the memory in my body left.But I remembered. Wiping out all the other inconsequential s that covered it. We are at the end now so good to end with loving feelings. Good Day, This day is surely a door to the next global vibration that those in Consciousness and Light continue to remember and awaken further and further. I want to share with you all a great art tool I use to assist myself and focus my energy. DIY Mandala Stones by Kim Mackay, it is the Art Realm of Dotillism and Kim created the perfect dotting tool sets from recycled plastic. Kim began her journey into the world of Mandala Paint Dotillism following her and her family’s loss of their young daughter. It is a profound gift the Universe gave them. I am sending you all Peace, Joy, Love, Happiness, Health and Well Being, and Forgiveness to All. Many different perfumes carried by a breeze. We bear within us many past lives, each one complete, autonomous, and emitting its own subtle, special fragrance. There are points along the journey when we must stand together with the whole line-up of our previous selves and follow out the journey they were all leading to. This is a formidable task. There is a lot to live up to. It grants you authority and conviction and it makes it very hard to get started. In order to get anywhere you must at times deny the awareness that everybody is there, and do whatever you can do, apparently on your own. But truly the depth of experience, the substantive inward development and the power of your inner drive give it away–you are destiny-charged in a larger-than-life fashion. Being self-possessed is your watchword. There is so much to accomplish. And at the center of the journey lies self-knowledge and the overriding determination to clear the karmic slate, to free up what has been trapped and bound and to come to yourself afresh. This destiny-will is guided, cosmically supported, centrally relevant to your whole world, and you will do it. Turn the darkest of hours into the brightest breakthroughs by refusing to stop anywhere or to back down from your resolve to wake up this time and get on with the greater path, at long last. A stately old house in a ruined condition. Karmic entanglement in patterns, syndromes, and worlds which have no future. Dwelling in worlds apart and worlds gone by. Intent upon salvaging the essence-spark of what was once there and claims your allegiance still. You are heavily drawn back in a virtual stupor or enchantment of following out a script, fulfilling a fate. Every line written ahead of time. Starchy and formal. Haunted, intrigued, bound up within what would seem to be no longer happening. Yet inwardly brooding all-pervasively upon the reverberations and echoes of what went wrong, of what was lost, of the severances and the tragedies. Doomed to stay in the lost places until Divine Spirit intervenes. Self-sentenced to limbo, half glad of it and half miserable and full of longings. High up on a mountain an eagle’s nest. I’ve been having technical issues, so: success! Only, I was missing the intro… why did I post these degrees?! SINCE PLUTO IS IN THE SPOTLIGHT, THIS ECLIPSE… here are the 3 degrees of interest: the KARMIC degree (20); the ECLIPSE degree (21); and the QUEST degree (22). Below, will be the Cancer SUN/MOON Eclipse Degree (21). Oh yeah – and I also dropped the name “Dolores Canon” in my original comment. Thank you smart astrologers, for sharing. Y’all, I noticed MM hasn’t commented…Must be out loving in a profound way. :D Thanks to all for the inspiration! Yes my friend, engaging in the the journey of life, like we all are. Trying to love my whole self profoundly which is truly what this journey is all about. Feeling all the feels like everyone else. So grateful for everyone’s sharing! Always a confirmation that we are not alone. So much rapid change and growth right now. Major clearing and up-leveling into our heart of hearts! Love to you all! Amadia, I completely agree with where you are coming from and what you are sharing. This essence of this post is about embracing all our uncomfortable feelings and the Truth of what actually is, and what has been. Accountability through directly facing our shadows, our past and our fears. From her contribution, I didn’t get that Jessica was talking about “spiritual bypassing” or trying to bypass uncomfortable feelings by not accepting them. I feel she is actually talking about speaking and acting from our truth even if it makes others uncomfortable, even if it’s not playing by the rules of the consensus or what we “should” do. If you follow the link on her name and read her full post perhaps it might make it more clear in context. I hear what you are saying and completely agree I just didn’t think that her message is quite in conflict with where you are coming from. But regardless, I thank you for your contribution in sharing your very well articulated points, and know that all of our understanding deepens when we can see from various angles. Amadia hi I was in the last bits as cj. I am very persecuted by shame, by lack of marginalized resources and so on. Very discomforting. So disheartened by those on me when I had just unveiled the dove. What more do u want I felt. Someone shot the dove on the glass window. My native friends moon in 4th is 21cancer and she has severe copd.No one is avoiding anything but ack.a moment of feeling an underlying love. Bu your right i am reminded courage opens doors.I can t see if this is coherent cause its so big its outside the page. I remember feeling like you do. I ordered the book about being shamed. Its not democracy cause democracy has a fair trial by peers not public speculation. Many years ago languishing on the floor I felt peace and I knew beyond a doubt nothing would could disturb it. … But what happens to Mother under patriarchy? She becomes the witch, the Negative Mother. She has to follow the rules, she is inconsequential compared to the father. “She doesn’t know how to make us feel loved and worthy, because she doesn’t know herself. Her power turns manipulative to make sure she gets her way. Love is abandoned for power.